We have developed a practical approach to help you achieve the goals you are aiming for. Our proven method is based on years of experience helping people and brands to establish a successful and meaningful social media presence. We begin with the interview phase; this phase consists of a comprehensive analysis of your current social media activities and is complemented by an extensive interview in which we ask you a set of questions that will help us understand your brand, your preferences, goals and the amount of time you are able to spend on social media. 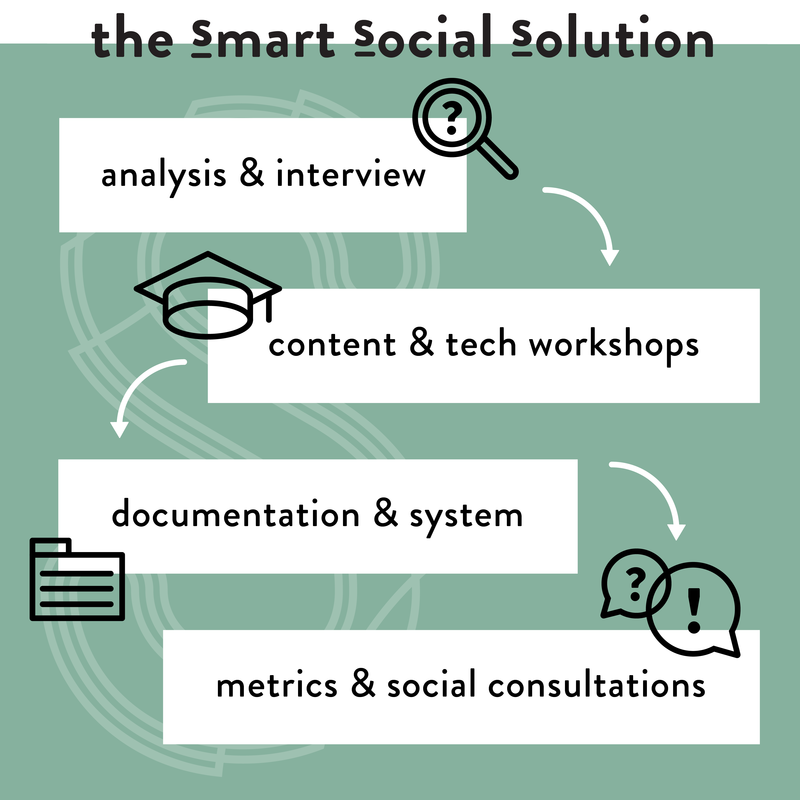 The results of the analysis and interview enables Socialnesss to create a completely tailored made process that works for you. In the second phase of our method we share knowledge with you through a series of workshops. Usually this phase consists of 2 or 3 practical workshops with you and your team. Our workshops are completely tailored made and will enable you to become a successful social media manager on behalf of yourself or your brand. We evaluate your current knowledge and experience and build on this by adding our creative input, industry know-how and technical skills. The content workshop is complemented by the use of many examples from your branch of business. We do extensive research to find inspirational content. Our research is translated into content examples that work for you. Part of the workshop consists of a prepared brainstorm session that supplies you with original content to use on your blog and social media channels. The technical workshop enables you to fully benefit from all of the functions your chosen platforms offer. We believe strongly in using a social media dashboard to publish and analyse your content and will teach you how to use the tools you prefer. Once you are able to create great content and know how to publish it we follow up by taking you through all the materials once more to make sure you can get started. Socialnesss will furthermore establish a system or funnel for your content and can help you get started by creating a content calendar that ensures your success. We suggest to follow up with our social media consultation. These sessions help you stay on track and give you the opportunity to ask any questions you might have. Most if not all of our customers chose to work with us for a period of at least 3 to 6 months after we have completed the method for and with you to ensure best results.